Read Huawei Y5 2017 mobile reviews, opinions, user question & answers. 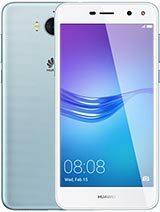 Get free Huawei Y5 2017 mobile via Lucky Draw by posting Huawei Y5 2017 mobile reviews and opinions. i want mobile because i am studying and i need this. This Mobile is fantastic.My friend have this mobile and i also want to buy this mobile but i have not much money. I really want to experience it.